"He flayed the Heat in his last game, dropping 51 points, his first half century as a Laker, and his Ohio reappearance could easily turn into a similar display." LeBron continues his tour of old haunts with a trip back to Cleveland. Unlike the last time he left the Cavs, there can hardly be too much resentment this time, given how he delivered the city's first championship in aeons back in 2016. Maybe they'd have had a couple more if they weren't playing through the Warriors era. 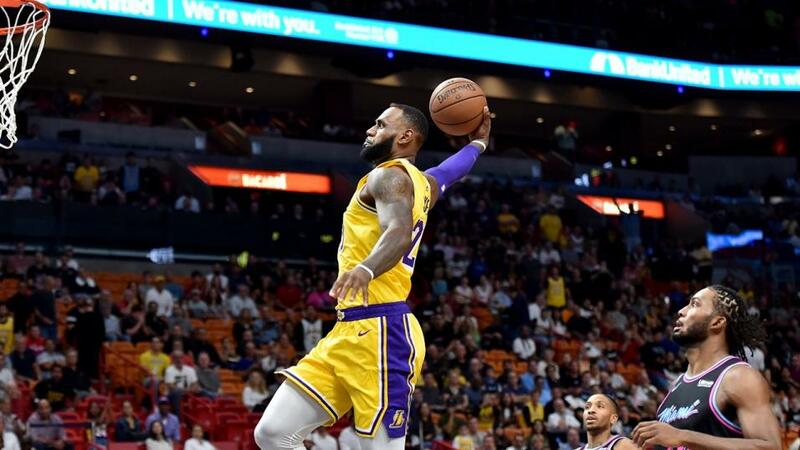 He flayed the Heat in his last game, dropping 51 points, his first half century as a Laker, and his Ohio reappearance could easily turn into a similar display. That Cleveland look so bad shows, if there were any doubt, how important James was last season. They made noises about the playoffs in the offseason, but that looked to go out the window with Ty Lue, Kevin Love is now hurt, and JR Smith is getting traded because he said they're tanking. At 2-13, you can understand why he might think that. They're among the lowest scorers in the league, but have been reasonable against the spread, going 7-8, though just 2-5 at home. LeBron's return is a variable factor in trying to call this, but the under on the Total Points market is tempting at [1.9] given these two have gone seen just three overs in their last 18 combined games. The Blazers have been done by the schedule makers here. They played the Knicks last night and now they're dropped in against the best offence in the league. It's a pity because both these teams have started the season so well, it could be a great match-up. Lillard and McCollum survived last season's clean sweep in the playoffs and Portland have started this season looking like they could once again secure a high seeding - and who knows, they might win a game or two once it all kicks off this time around. Against the most potent attack in the league on no rest, you'd wonder if their strong defence - eighth best in the league - can withstand the assault. Milwaukee are 7-1-1 against the spread on home court, though the fact they're 5-4 in their last nine games, and have failed to cover in all four losses, gives some pause. That the Blazers beat them by 15 points in their last meeting, in Portland, isn't encouraging either. Also, in two previous efforts on no rest, the Blazers have covered both times as well, and by big margins. This is a tough call. They're two of the best teams in the league. Portland have played four of a six game road trip, going 2-2 straight-up, but Milwaukee are a step up from those wins. They looked to be managing last night victory in Madison Square Garden - the spread was seven and the Knicks covered by three. The fact they've covered before on the road without a day off - versus Houston after beating the Pacers - makes me lean to the Trail Blazers at [1.96]. The Warriors are coming off a nightmare road trip that saw three losses added to their record, two coming with scores of 86 and 92. That's not the Golden State we're used to. Stephen Curry is still out and, despite their depth of talent, they're just not the same without him. Add in Klay Thompson's cold streak, Draymond Green's continuing absence, and the drama around Kevin Durant, and things aren't going so smoothly for the champs at the moment. OKC are going in the opposite direction. After four losses to open the season they've won 10 of 12. Their defence has improved this year, allowing the sixth fewest points per game. They're getting a shot at GSW on their own court without their main threat and will want to get back on track after losing to the Kings last time out. Despite their 2-5 record since Curry's left the line-up, the Warriors are one-point favourites here, and you would expect them to get a boost from the Oracle Arena after a rough away run. But the trends for these teams on the totals - Golden State have gone over in three of nine home games when they're favourites, while Oklahoma City are 1-5 on the over on the road - suggest that the under is worth a play at 10/11 on the Sportsbook here rather than picking the handicap.